The command Half Step, MARCH is given as either foot strikes the ground. On the command MARCH, the airman takes one more 24-inch steps followed by a 12-inch step (measured from heel to heel) in quick time, setting the heel down first without scraping the ground. 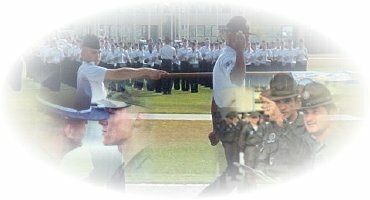 The airman maintains coordinated arm swing and continues the half step until marched forward or halted.